The San Diego Housing Commission broke ground Saturday on a new development project in Encanto that will provide affordable housing to low-income families and homeless veterans. The new development, Encanto Village, will have 65 apartments designated as affordable housing. The units are available to families making 60 percent or less of the median income for the San Diego metropolitan area, which is around $58,000 for a family of four. 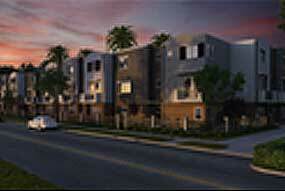 Eight of these units will be reserved for homeless veterans.